Nor-Tech has many technology experts that are ready, willing and more than able to contribute to technology-related articles. In fact, Nor-Tech’s engineering team is considered one of the best in the world—and they are accessible to the media. This is a rarity in the technology industry—true experts that will take the time to respond to media requests! 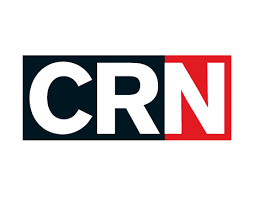 Our VP of Engineering Dom Daninger was quoted several times in Dylan Martin’s excellent CRN article: 8 Things To Know About The $6.9B Nvidia-Mellanox Acquisition: https://www.crn.com/slide-shows/components-peripherals/8-things-to-know-about-the-6-9b-nvidia-mellanox-acquisition/1 and in another Dylan Martin article: Intel To Use New Xe GPU Tech For First U.S. Exascale Supercomputer: https://www.crn.com/intel-to-use-new-xe-gpu-tech-for-first-u-s-exascale-supercomputer. These are both excellent articles. Nor-Tech’s public relations representatives also have a reputation for responding quickly to requests and finding the best sources on a moment’s notice. Contact Jeanna Van Rensselar 630-363-8081 jeanna@smartprcommunications.com.